Congratulations to our 2019 champions! Today we celebrate the success of students and education and workforce professionals who are shining exemplars for the advancement of college and career readiness for all. Join us in recognizing the high school seniors, and the K-12, postsecondary, and workforce professionals in each state who are demonstrating persistence through adversity, a collaborative approach to problem-solving, and a passion for learning and leading others to find their own success. 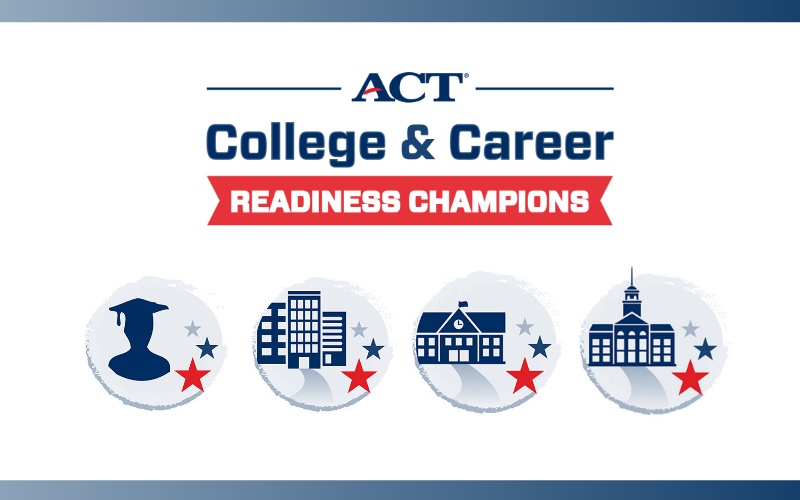 Use #ACTChampions and tag @ACT to tell us about the champions in your state, and to cheer them on. Learn more about this initiative and what it means to be a champion from our district managers. You’ve learned about the initiative, read the list of Champions, and now you’re inspired. What now? Check out our media kits below to help spread the word about the champions in your state. Then, head on over to mysuccess.act.org to share your story of success and join a community of support and resources to promote lifelong learning. You’ll even find some champions’ stories in the mix to keep you motivated. Together, we can help more people achieve education and workplace success.